One Instant You Can Be Driving, The Next In A Car Accident. SEATTLE (ESTRA) --What type of conversation can you expect to have with Auto Insurance Companies? What is the purpose of their questions? And what questions do you need to answer? It's important to start off on the right track when dealing with Auto Insurance Carriers in order to finish up in the same way. How have your conversations gone with Auto Insurance Companies? What has been the outcome of a claim? One reason why basic information is important to Insurance Companies is they want to know if Auto Insurance Policy is enforce or active. An active policy means another carrier may be involved in the claim. It is much more difficult to pull the wool over an opponent’s eye if they too have been in the game for years and know how this works. However, if out there on your own, dealing with decades of experienced individuals, this means being a minnow in a shark pond. In most states, it is required to keep auto insurance policies active, yet real life can be quite different when one considers layoffs, and 2 out of 3 people seeking work for which there is none. Therefore, economic hardships can fall upon anyone, given a set of unfortunate circumstances. Regardless of current condition, when involved in a car accident, your conversation with Auto Insurance Companies should be only about traffic collision facts. No explanations, no excuses, just yes, my insurance is current, or not it is not. This indeed can be a quiz or an opportunity for a snare to eliminate or reduce claim right from the start. Therefore be diligent, cautious, and aware of whom you are talking with, why the information that you are giving is very important to them, and how it will be used in claim. This question will have a different result depending on the state that you live in, whether it is a no fault or at fault region. Learn more about state laws by going to your State’s Insurance Commissioner’s Website. It is also important to Auto Insurance Carriers who you are: Are you the policyholder, or an additional person on the policy? By getting your vitals, it is easy to assess your driving, medical history, financial status, education, along with how much experience you’ve had with auto insurance companies. All the information that can be rounded up about you will be used to evaluate how they will proceed with your claim, and a strategy will be developed around it, from your perspective. Therefore, it will also be important to ascertain what type of insurance company you dealing with regarding this claim. There is a significant difference in the treatment received from companies that operate as “good faith” vs. “bad faith” Auto Insurance Companies. From my perspective, those who operate in good faith, seek to offer fair, timely claim payments which reduce the pain and suffering of individuals injured in a car accident, while “bad faith” spend enormous amounts of resources refusing to pay legitimate claims by using their power and influences against the injured with few resources and abilities to stand for their rights. From personal perspective, the make and model of your car in most cases give them an idea of financial class and status, allowing them to better estimates the total cost of your claim. Therefore, realize the information provides valuable insights for them about you. In my opinion, t is laying the foundation of your total claim. Recall is very important. Be clear. Make sure to write down the experience of the car collision as soon as possible after the event. In this way, the details are fresh in mind, and chances are you will be able to recall everything that has transpired. Typically you will be ask whether to have conversation recorded. Personally, I chose not to record, because in some cases, this conversation my not be represented as meant. Therefore, them taking notes, and you taking notes, may be suffice. This is true for any insurance company, even yours. Typically, when recalling the events of a traffic collision, many people relive incidents, which can be a very emotional moment. Depending of level of losses, this can be painful, yet, is a part of auto insurance claim process. Therefore, your do best to maintain composure. State the date, time, and information as recalling accident. If questions are asked regarding description of what has taken place, take your time and think about answer before responding, do not be led away to discuss current emotional state or other information. Stay on track, making notes of questions asked, and responses to them. Remember, they are collecting information on behalf of insurance company, not necessary as a best advocate for you. There is enough space to write this conversation in the back of my book, Car Accident by ESTRA, which will be important to have for future reference. It is very important to keep good documentation. Easy retrieval helps find information, relieves stress, and allows evaluation of how things are going. 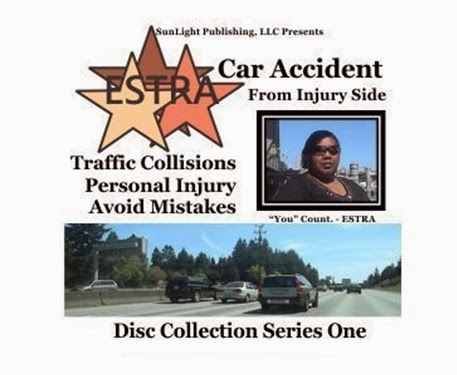 2014 Car Accident Weekly Planner by ESTRA is also helpful in documenting experience. 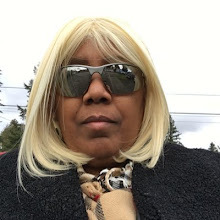 Also, write down any questions you may have for the insurance company, especially, about getting the resources needed to survive if seriously injured. It is important to ascertain whether they will be working with your recovery, or have taken a stance to make it more difficult. If you begin to experience, delays, denials, lost documentation sent to them, this may be an indication of the stance they are taking on your claim. However, at time of your conversation, the goal is only to relay facts, their behavior at this point is something only to be aware of and make notes. Stick to the facts only when documenting collisions. Open ended questions start a dialog where there is an opportunity for the injured to feel they can open up, as with close friends about their emotional feelings or other comments regarding the accident. However, in my opinion, this is not the time to have one of those moments. Those times are better spent with love ones or processed privately. Remember, this is business not a family affair, and one must conduct it this way. Saying something inappropriate because of an emotional state of a traumatic event, does nothing for claim, and in fact, may be used against you at a later date. Therefore, close open ended questions, by just stating facts of case. For example, they may ask, “Are you injured?” My response was yes I am. This closes the loop. Let them ask specific questions, “Where are injuries? From my perspective, it is best to be very specific and factual. All parts of conversations will be reviewed and scrutinized. Remember, they have been doing this for years. So be your best advocate by thinking about each question, evaluate it before giving a response. 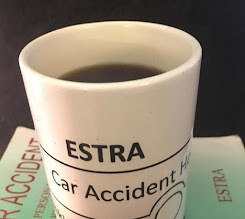 When Auto Insurance Companies know accident victims are represented by a Personal Injury Attorney, they tend to use more caution, from my perspective. "Good Faith" Insurance Companies typically follow the same protocol regardless of whether there is legal representation. Their goal is to get the claim resolved equitably and at the least cost. When there is an attorney for the injured person, typically cost increase for auto insurance companies. Yet, from my experience, the value gained from the claim for the injured is not necessarily increased compared to the additional stress and games afoot, unless dealing with a “bad faith” auto insurance company. In my opinion, bad faith insurance companies attempt to make claim resolution difficult, long-standing, and as miserable as possible for the injured. Therefore, lawyer up if dealing with a bad faith auto insurance company, concentrate on getting well without a lot help from them, and deal with them once you get better. Make sure to use 2014 Car Accident Weekly Planner by ESTRA, it will make it easy to document experience. Remember, you are the most important person in the claim process, so do all you car to take care of yourself. Accidents Happen Often Close To Home. When your car is damage, depending on relationship you have with vehicle, this can be just a repair, or close to friend with a problem. Recognize the decision on repairing vehicle is your choice. Currently, many auto insurance companies have preferences for you to use their shops and their generic parts. Some attempt to place a great deal of pressure in order to convince people to do repairs their way. However, it is your car, your choice. So if you have a specific company who always fixes your car, then take it there if that’s your desired repair shop. If out right own your car, you are in a better position to decide how this happens. However, if you do not own your car, meaning you have a lien holder, then repair check goes into both of your names, which depending on your lien holder, they may not release the check to have you fix it your way. This is another reason to really get to know people you are doing business with because they may not have your best interest in mind. So if caught between a rock and a hard place, meaning, between a auto insurance company and an auto lien holder, make the best decision for you. Unfortunately, all repair shops are not created equal or automotive parts. Take time to make a decision that you can live with, not because of the pressures placed upon you. Know what you want for your vehicle, and try to make it happen. Regardless, realize nothing happens without you signing off on it. So do not take your rights lightly, or allow others to usurp your power and decision making. Getting your car back to a normal state can bring peace of mind and help to move forward. Most auto insurance companies in my opinion respond in a reasonable period of time for this portion of the process. Still, remember to track expenses and cost at this time. They are counting every penny, and so should you. Again, make sure you will be satisfied with car repair results. If car accident is of a serious nature, you may encounter multiple auto insurance employees. As the cost of your claim increases or passes specific company thresholds, claim is move up to adjusters who are responsible for responding to injuries at that specific levels. If you find yourself moving up this chain, make sure to use caution when having conversations, and recognize documentation will be the key. Realize some auto insurance companies will use surveillance in attempts to reduce claim, or play hardball in hopes to discourage you and reduce the amount willing to accept to settle claim. From my perspective, one of the most important questions to ask yourself is whether this company operating in "good faith"? Are they offering a fair value settlement? Are you feeling bruised and battered? Are you being harmed by their abuse of power and influence? Evaluate where you are right now, physically, emotionally, and financially, and decide how you want to proceed. Not by their action or behavior, but what is best for you. Most of these companies could hold out on your claim until hell freezes over. So don’t allow them to make it about them. It’s about you. Yes you. Make the best choices for you, and move on. Yet, share your experiences about their actions and settlement practices, it is the best way to equal playing field for those who come after you. And helps identify the wheat from the shaft, in other words those who operate in good faith vs. bad. Your conversations with Auto Insurance Companies are extremely important to your claim. Therefore, make sure to remember who you are talking with, their agenda and yours, and use caution when speaking about your claim. Most people without Auto Insurance Coverage or their policy has lapse, typically are having financial problem. In my opinion, in our current economy many people are having to make difficult decision on how to make ends meet each month. Perhaps the insurance industry would consider lowering their rates in support of those people needing help, since profits are soaring. I had to delete you comment due to your inclusion of a link. I would be happy to re-post it without it link. Thanks for sharing your opinion.